Our family has been working in the fishing industry for 3 generations. Barry Doucette’s Deep Sea Fishing started over 30 years ago when Barry expanded his commercial lobster fishing business to include deep sea fishing charters. His sons Jason and Jamie started fishing at an early age, and after 25 years in business, Barry decided the time was right for them to take over the family owned and operated business. 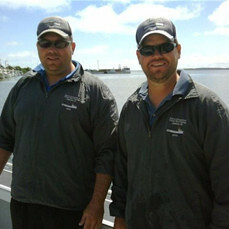 Jason and Jamie are both certified Captains by the Canadian Coast Guard – Jason for 15 + years and Jamie for 10 + years. 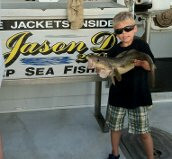 In addition to offering deep sea fishing trips, they are both commercial lobster fishermen. 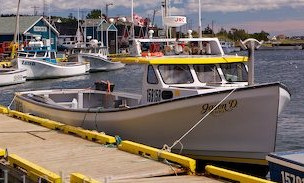 Their vessel, the Jason D 2000, is government-approved and inspected by the Canadian Coast Guard. The 45′ fiberglass boat was built in 2000 and is powered by a 430 hp diesel engine. 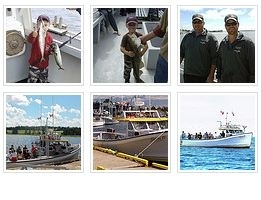 Join us for a great experience, deep sea fishing on PEI!